Behind on income, payroll or sales taxes? Today, True Resolve Tax Professionals in Denver explains what to expect when facing business IRS problems. You’ve worked hard at turning the dream of owning a business into a reality. Don’t let taxes ruin your hard-earned success. Our skilled, IRS Enrolled Agents will work with you to find a resolution that makes sense for your business and brings you into compliance. Whether or not the IRS has contacted you regarding taxes that need to be filed or balance that needs to be paid, it’s understandable to feel overwhelmed by the situation. Nobody gets behind on purpose, and as a business owner, you’re probably juggling a million other important tasks. We know that it’s easy to get behind or make a mistake. And, while ignoring your business IRS problems might seem like the only answer in the short-term, this tactic only makes the issue worse. Today, we’ll discuss what to expect when facing business IRS problems. For personalized assistance and an advocate in your corner, you’re also welcome to contact True Resolve for a free consultation. 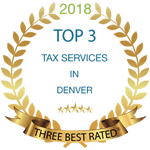 Once you’re behind or out of compliance with the IRS and Colorado’s Department of Revenue, it’s not that easy to get caught up or stay on top of current tax obligations. Much like individual taxes, owing either agency is subject to any number of tax penalties that compound the original amount owed. At True Resolve, we’ve seen penalties of up to 75% of the owed amount and more. In fact, between the state and Internal Revenue Service, there are over 100 penalties that you might be subject to pay. Both the IRS and Colorado can utilize a failure to file and failure to pay penalty. These typically increase the longer you ignore your tax problem, pushing your balance higher and higher. If any fraud is proven, the state will impose a penalty of up to 150% on taxes owed. On top of that, the IRS can penalize you by up to 75% on the underpaid tax amount. As you can see, business IRS problems along with state can be devastating to your Denver business. Tax bills don’t just go unpaid, especially payroll tax debt which is considered a form of theft and typically results in unrelenting collections. No matter your situation or reason, the IRS will not stop until they’ve recovered what’s owed. Even if that means destroying your business in the process. Business IRS Lien – In this situation, an IRS lien secures your debt using your Denver real estate, business bank accounts, intellectual property and physical property (such as office equipment) as collateral. A lien is public, available to everyone you do business with and deeply impacts credit, which can limit cash flow and make daily operations impossible. Many businesses have even been forced to shut down. Business IRS Levy – If your Denver, Colorado-based business is levied by the IRS, they can legally seize property and assets without any type of court order. Can your restaurant survive if they took all of your kitchen equipment? A levy can also freeze your business bank account, making it impossible to purchase inventory or pay employees. Even accounts receivable is not safe. The IRS can contact your customers and demand that payments be made to them, not you. That’s never a good situation to be in. 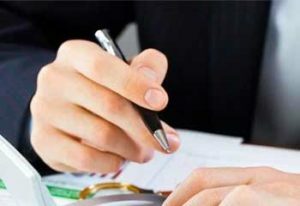 When it comes to what to expect when facing business IRS problems, the short answer is – nothing you want to face alone. By contacting True Resolve Tax Professionals in Denver, we will help you from start to finish. From filing back taxes to directly negotiating with the IRS on your behalf, our Enrolled Agents will go the extra mile to protect you and your business. We’ll present you with the best options for a resolution, such as an offer in compromise, installment agreement, even penalty abatement. Let’s start with a free consultation where we’ll plan out how to get you back on the road to success.